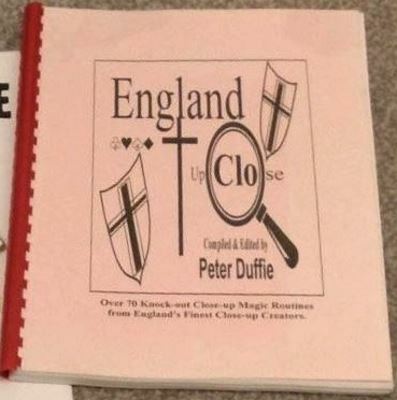 Comments: Over 70 routines from a variety of contributors; effect range from self working to sleight-of-hand techniques. Mostly cards but also includes a coin effect, one with bills, and magic squares. Read a full review by Caleb Wiles at http://magicreviews.blogspot.com..
4 Trial Separation (Jack Parker): A Joker is used to split the deck and a selection made from each half. Selections vanish, so spectators are asked which card they chose, and both name the same card. Joker previously put aside turns into the selection. 8 Insertion Technique (Sean Carpenter): a business card is inserted into the deck with a prediction; the selection is found as predicted by the card. 17 CAAN (Stephen Tucker): an Any Card at Any Number effect.